How can we make new technologies—like Blockchain—useful and valuable for everyone? How Do We Govern Blockchain? 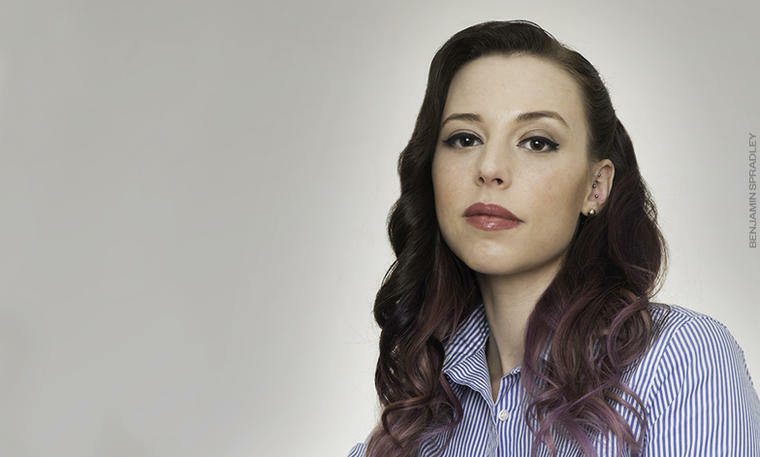 Amber Baldet is that rare blockchain speaker who brings clarity—and personality—to these important, often opaque, new technologies. Baldet was blockchain program lead at JP Morgan and is CEO of Clovyr. A member of Fortune’s 40 Under 40, Baldet was named to The New York Times’ list of “People Leading the Blockchain Revolution” for her “unusual ability to bring together the corporate and hacker camps.” In keynotes, she looks at what blockchain means for your company, and explains how “an internet of value” may disrupt the global economy while making life better for everyone. Since its founding, Baldet has served as the Chair of the Financial Industry Working Group within the Enterprise Ethereum Alliance. She is a popular speaker who has delivered speeches at SXSW, MIT, Wharton, Harvard, Cornell, EthCC, Defcon, Money 20/20, Consensus, and other venues. She has also been named to CoinDesk’s 10 Most Influential in Blockchain and is the recipient of the Microsoft Award for Corporate Innovation. The New York Times calls blockchain speaker Amber Baldet one of the people who are “crucial in pushing the technology forward.” In upbeat keynotes, Baldet shows you—with concrete examples in soaring everyday language—how, why, and when blockchain technologies might reshape your organization, your industry, even the world at large. She connects the dots to draw a vivid picture of what an integrated “Internet of Value” might look like for citizens, consumers, and companies. Baldet’s keynotes are packed with useful information, but accessible in delivery. Customized based on the audience, her talks can expand to include realistic discussions of business models, government regulation, geopolitical threats, ethical issues, surveillance, information security, privacy, consumer sentiment—anything relevant to this vital topic. The decisions we make today, she reminds us, hold the potential to shape the world we want to see tomorrow. To book Amber Baldet for your next speaking event, contact The Lavin Agency, her exclusive speakers bureau.